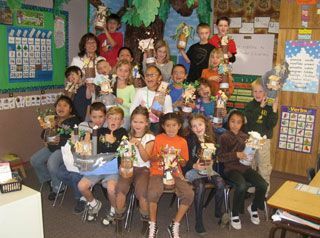 Mary Pope Osborne's Classroom Adventures Program is Mary's gift to teachers who have inspired her for over 25 years. 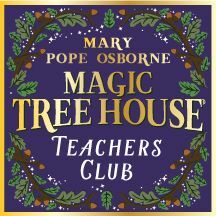 It is a comprehensive program, a "gift of time," that allows teachers to expand their use of the Magic Tree House adventures in the classroom and stimulate kids' interest in subjects across the entire curriculum and STEAM education. 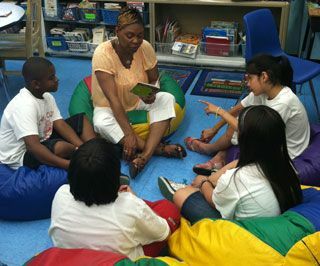 The program uses kids' love of Magic Tree House adventures and their identification with Jack and Annie to spark interest in learning and stimulate their curiosity about the world around them. Fiction adventures and nonfiction Fact Trackers are the ultimate paired texts as they guide teachers striving guide students to decipher text, compare and contrast, and form opinions. These resources are a true Gift of Time to elementary school teachers searching for creative ways to inspire their students and still meet curriculum standards. 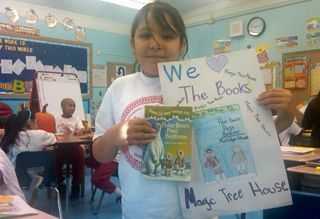 Schools who have used our resources to incorporate Magic Tree House books and Fact Trackers in their classrooms have seen results in higher reading levels and an overall increased enthusiasm for reading and learning. In 2015-16, a study was conducted to collect real data showing the books’ effectiveness in the classroom. Professor Susan B. Neuman, a highly respected Professor of Childhood Education and Literacy Development at New York University, conducted the year-long in-depth study. 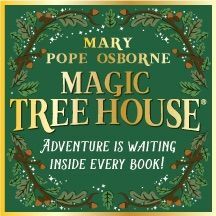 “The inclusion of Mary Pope Osborne’s books, all of which were high-quality fiction and nonfiction books in classrooms for Schools A and B, was seen as a major motivating factor in helping children not only to learn to read, but to create the desire to read." Mary's Classroom Adventures Program also provides for a Gift of Books to children in underserved schools across the country. Title 1 educators are invited to submit a brief proposal telling us how they plan to use Magic Tree House books in their classroom; selected schools will receive a grant of books to help these teachers to accomplish their goals. "It's obvious we need to find better ways to teach all children to read. But I believe that literacy is not enough. We need to give children a passion for reading. Once ignited, this passion can be a fierce motivation for a young person to try to change his or her life for the better."